Your new sofa is a click away. 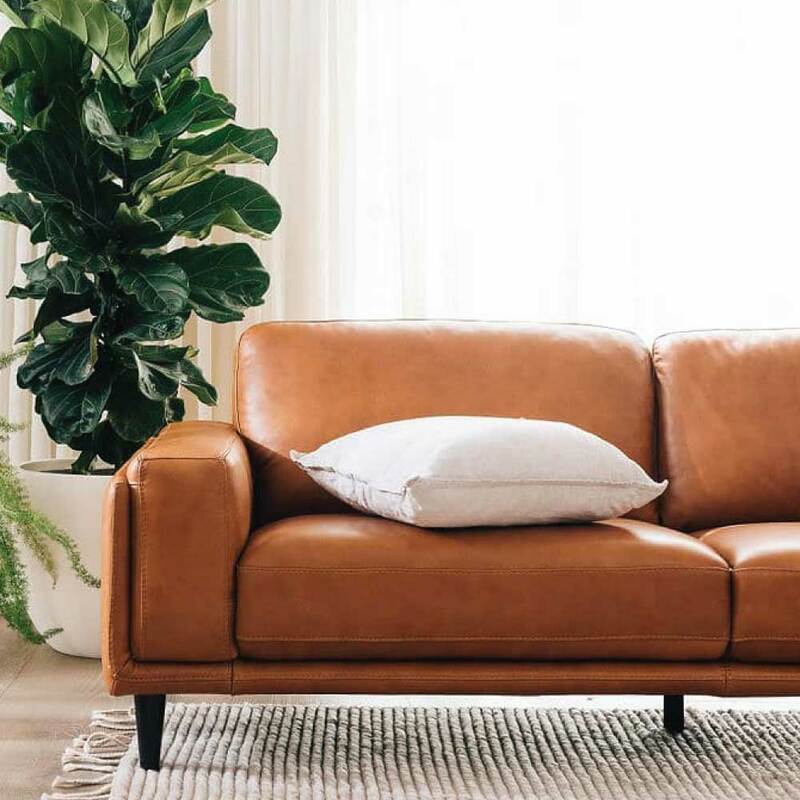 Rather than wasting hours of your weekend hitting the shops, find your new sofa online with our guide to Australia’s best online sofas. A sofa isn’t just a piece of furniture that takes up space in your lounge. It’s a nap station. A reading spot. An evening Netflix marathon or weekend family movie space. A place to fight over with the dog. Ensure your home has the sofa it deserves, without giving up your weekend, by buying a sofa online. 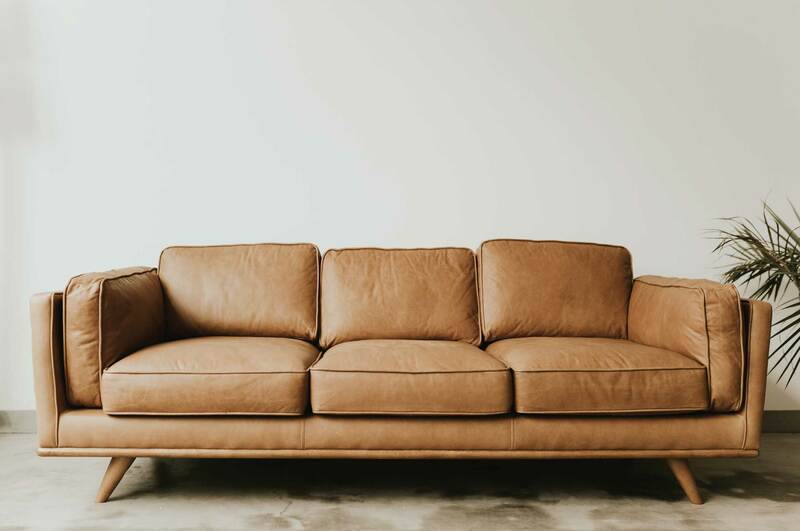 With our guide to Australia’s top sofas you can buy online, you’ll get all the information you need to make the right choice. At Betterbed we specialise in helping Australians find the best products for their home. Even better, they’re available online, including mattresses and sheets. 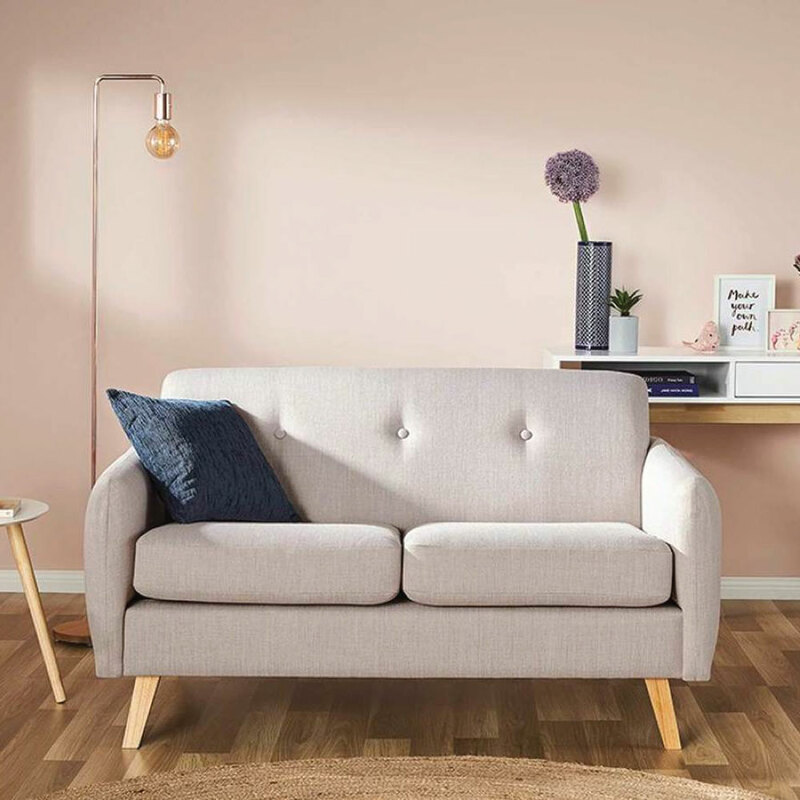 We’ve done all the hard work for you, giving you more time to sit back and enjoy your new sofa (or bed!). To choose the best online sofas, we started by exploring online sofa retailers in Australia. We then visited independent customer review websites to see how customers rated them. We looked for retailers that had quality products, great customer service and sensible prices. Once we had well-rated retailers, we browsed their sofas. Our focus was on well-constructed sofas with classic designs that would look great in whatever type of Australian home you’ve got. Finally, we narrowed down our selection to include a range of budgets and sizes. 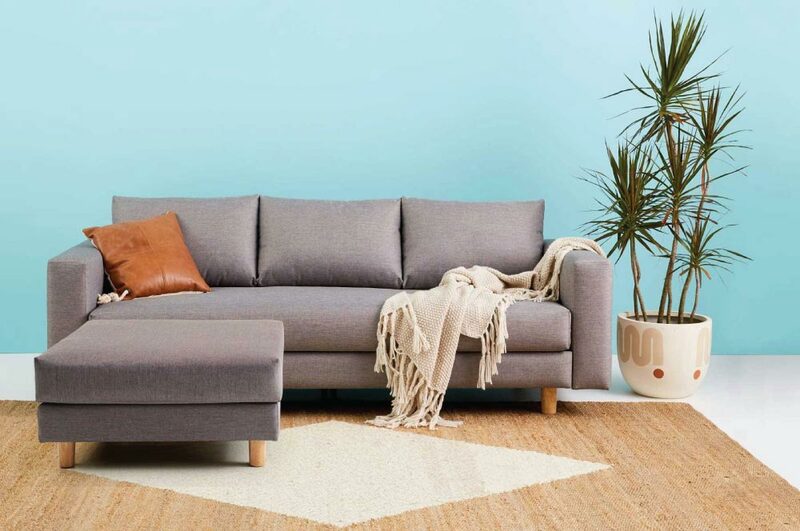 Here are our top picks for the best online sofas in Australia. Save $120 off the Koala Sofa. Use coupon 'AFFBETTERBED120' at checkout. You’ve probably heard of Koala – they’re known for their mattress in a box. Now they’ve launched the Koala sofa – a sofa in a box. They reckon they can deliver it within 4 hours (note: metro areas of Australia only), and you can assemble it in 4 minutes. It features seats with ergonomic support and it’s big enough for you, and someone else, to lie down flat for a nap. It has a steel frame for durability and strength. Style-wise, it’s a classic with timber feet and wide armrests. Available in 2 colours (midnight blue and grey), it fits every Australian home. All the covers – not just the cushion ones – are removable and washable. You can also buy a matching ottoman. With all the sizing available online, you can understand the exact measurements of everything before you buy, including the height and depth of cushions. It comes with a 120-night trial. Return it for a full refund if you don’t love it. Plus, if you buy the Koala, they’ll adopt a turtle on your behalf. Customers love the quick delivery, easy set up and comfort. We love the trial period, warranty (10-year steel frame warranty, and a 5-year warranty for the legs, cushions and covers) and entirely washable covers. Get $120 off your Koala Sofa purchase. Use coupon 'AFFBETTERBED120' at checkout. The Companion Couch specialises in 1 thing: an online sofa. The sofa is modular, which means it grows with you. It can be adjusted to fit your needs: a 3-seater becomes a 2-seater with an arm chair, for example. A modern feature, an USB charging point is built into each Companion Couch. Attention has been paid to comfort. The couch’s cushions are built like a mattress. There are springs in each cushion for support and a soft top layer for comfort. The cushions have been treated to be stain resistant. Looks-wise, it’s available in grey or blue. It’s a modern design with timber feet and extra cushions for comfort. It’s delivered for free in easy carry boxes quickly (same day to Sydney metro areas, next day to other cities). It comes with a 5-year warranty and a 120-day trial period, so you can try it in your home before committing. Plus, every purchase sponsors a rescue animal. Customers rave about how comfortable it is and how easy it is to install. We reckon the USB charging point is a genius touch – perfect for those Netflix binges – and like the 120-day trial, which includes free pick up. Operating for over 17 years, Plush is one of Australia’s most well-known sofa brands. Specialising in custom hand-crafted sofas, you can create your perfect sofa with their massive range of styles, fabrics and genuine leathers. Plush stand by their workmanship. All their sofas come with 10 year warranty and if you don’t like it, return it within three days and they’ll swap it for another or give you your money back. 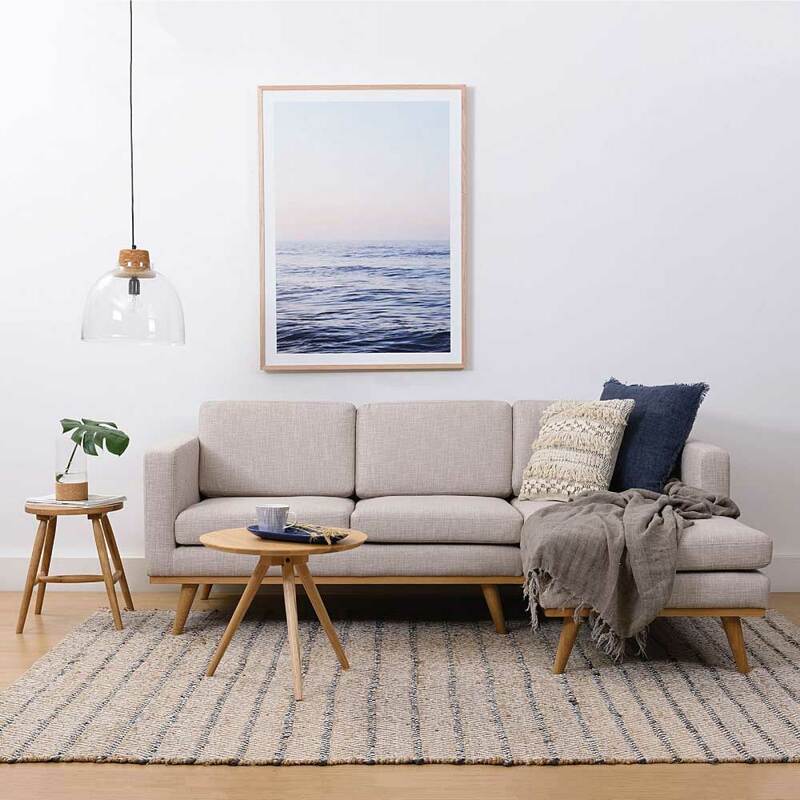 Brosa is an Australian online furniture retailer, designing in-house to keep costs low. 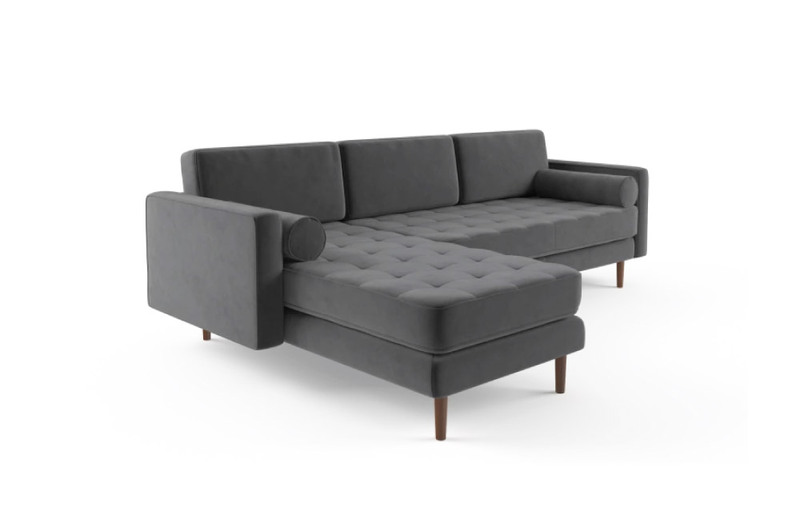 Their Frank 3-Seater Modular Sofa with Chaise is an elegant, luxurious design. It features solid wood for durability: the legs are crafted from solid birch and the frame from solid larch wood. The cushions feature multi-layered foam for comfort. You can choose which side the chaise is on and there are over 20 colours and 2 material types to pick from. This means the Frank is customisable to your needs. Brosa offers free fabric samples. You can order up to 3, and it includes free shipping. The Frank comes with a 10-year frame warranty and a 2-year warranty for the cushions and foam. Plus, Brosa offers a free 7-day return period which includes pick up and a full refund, even of the shipping fees. Customers reckon Brosa products look as good in real life as online and the quality is great. We reckon its customisability sets it apart and is a worthy investment. Zanui is an Australian online furniture and homewares specialist. Their Otto 3-Seater Chaise Lounge is an attractive and elegant sofa in a timeless design. The design includes wide and deep seat cushions. Filled with high-density foam, it’s supportive and comfortable. A blended polyester fabric ensures softness and durability. The frame is made from solid pine wood and MDF for strength. The legs are solid timber. It’s available in 2 colour options – black or frost. You can order 1 fabric sample for free. The cushion covers are removable for easy care, although they’re dry clean only. You can choose which side you’d like the chaise on. The frame has a 5-year warranty, the upholstery 1-year. Customers rate the Otto’s generous size (ideal for napping) and comfort. Fantastic Furniture is one of Australia’s best value furniture and homewares retailer. 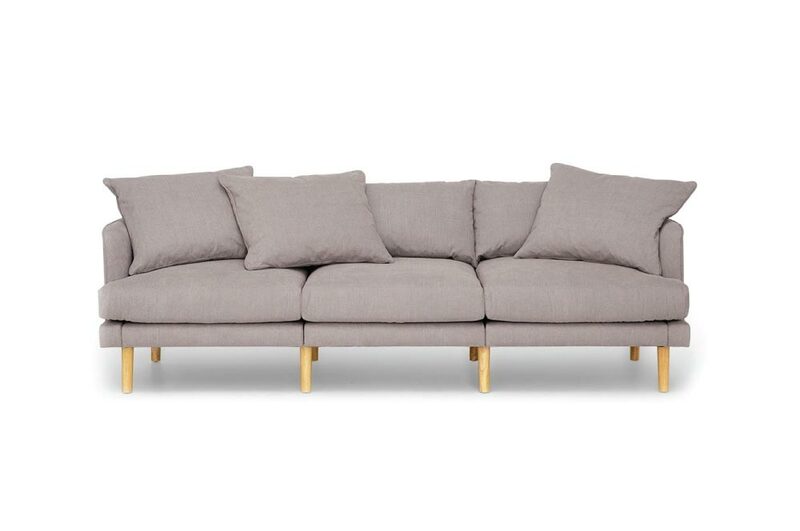 Although their Olson sofa is our budget pick, it looks like its more expensive sisters. It features a classic design with tapered timber legs and deep cushions. It’s made in Australia and comes in over 100 fabrics. You can get 5 free fabric samples to help you choose the best colour for you. There’s no assembly required. It has a 6-year frame and support warranty plus a 60-day change of mind returns policy. We feel this is generous, given the Olson’s affordability. Icon by Design specialise in timeless Scandinavian design and high-end craftsmanship, without the price tag. Their Sixties 2-Seater Sofa is a beautiful everyday sofa. It’s handcrafted and features a quality solid timber frame for durability. With different sizes available, you can pick what suits your home best. It comes in a range of traditional colours. The covers are 100% polyester and the cushions are filled with high density polyester foam. The seat cushions are moveable and cleanable. Buying a sofa online might seem a bit daunting. What will it look like? How will it feel? What if you don’t like it once it’s in your home? Before you click buy, ensure you know the shipping costs to avoid any nasty surprises. Because of the size of sofas, you’re normally looking at oversize delivery costs. One way around this is choosing a sofa in a box which is more affordable. As well as cost, understand the expected delivery timeframe. If it’s in stock, it could be with you in days. But if it’s being customised to your colour, or not manufactured locally, it could be weeks. Pay attention to what the shipping includes. Will the delivery team bring it to your kerb? Deliver it into your lounge? Or unwrap it, assemble it and remove any rubbish? With any online purchase, the returns process is important. Understand what will happen if you get your new sofa home, only to find out it’s uncomfortable or the colour is wrong. If there’s no defect or manufacturing issue, you may not be able to return it. Some retailers do offer a change of mind return within a certain number of days. Look out for that if you’re unsure of your choice. The colour you see on your screen may not be a good reflection of the colour in real life. The best way to understand the colour you’re getting is to order fabric swatches. Most online retailers offer fabric swatches. Ideally, more than 1 and free. Use your screen to narrow down your preferences and then order some swatches. Fabric swatches will also give you a good idea of how your new sofa will feel. We’ve done most of the hard work for you, but dive into customer reviews yourself. This will help you understand how the sofa performs in real life. If the retailers don’t list reviews on their websites, search out blogs, social media or independent customer review websites. Look for customer photos. Without professional styling and lighting, you’ll get a better idea of what the sofa looks like. Have a look at your available space. Mark out ideal sofa dimensions on the floor in different locations. Ensure you’ve got room to move around. Compare the dimensions of the sofa you’re considering buying to existing furniture. You’ll be able to see how much more – or less – space you’ll be dealing with. Even if you don’t have a spare sofa to compare it to, a chair would work. Think about how easy it is to get up from that seat height. Or how the height looks against the wall. Or how comfy the arm height is. Considering all this will give you the ideal measurements of your new sofa. Oh, and remember to measure your doorways, hallways and stairwells for delivery too! Thanks to their low overheads, online retailers frequently offer sale prices. Contact them and ask them if they have any sales coming up. Or sign up to their newsletter for a discount code. 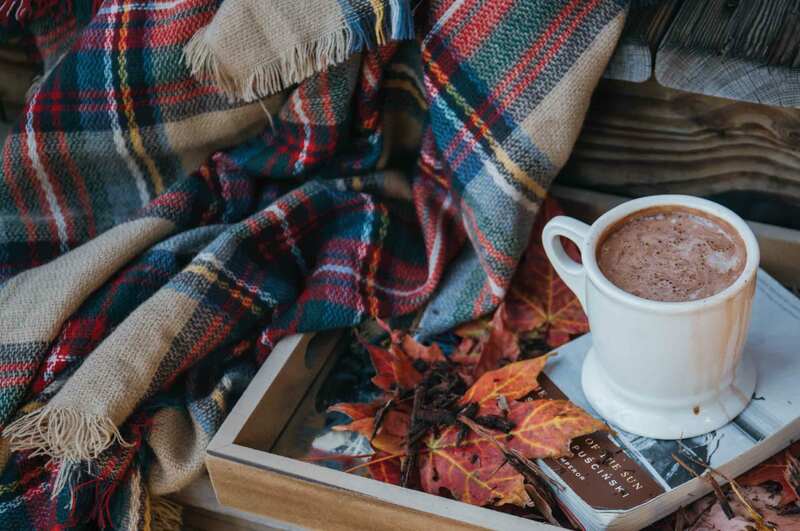 Most retailers have sales around holiday periods. If you can wait, you’ll get a better price. Frame – should be hardwood, particularly kiln-dried hardwood. Cheap plywood and fibreboard might not last. Joinery – should be ‘mortise and tenon’. This is a centuries-old construction technique that’s simple and strong. Dovetail joints are also good. Look for joints that are glued, stapled and screwed. Cushions – aim for high-density foam so it bounces back, even after continued use. Down cushions require frequent fluffing. Try out different fills at a local store to see what you find comfortable. Springs – eight-way hand-tied steel springs are the strongest, most resilient springs. Serpentine springs are more affordable but also good quality. Try to avoid mesh or webbing which may not survive extended use. Fabric – aim for a durable fabric and consider paying extra for a stain treatment. Look for covers that are removable and washable for easy care. 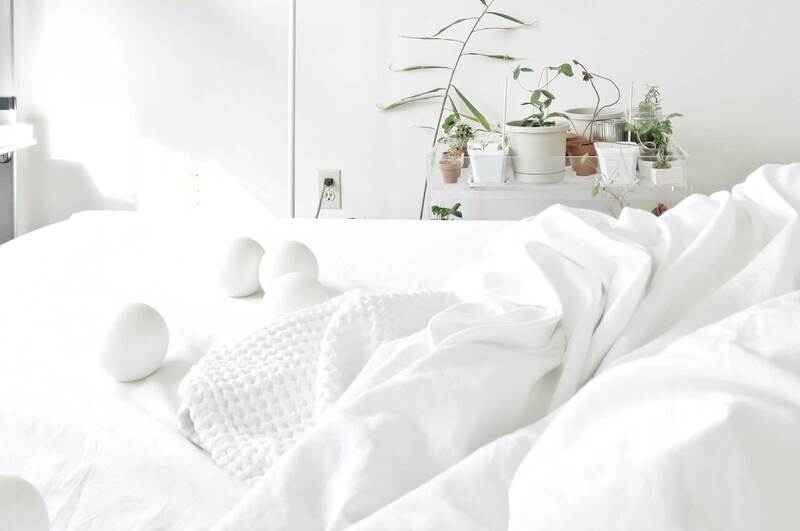 Get that hotel-at-home feeling with new bed sheets. 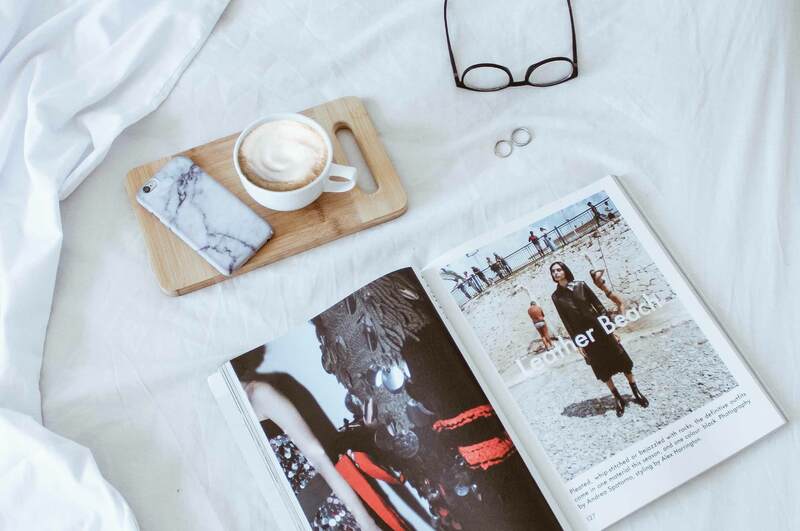 Give your bed an instant makeover and discover Australia’s best sheets that you can buy online. If you’ve invested in a decent mattress, keep it pristine by using a mattress protector. See our picks for Australia’s best mattress protectors.